Yesterday, Derek Hunter declared that libertarianism has entirely lost its meaning, that the party has devolved into a catch-all for people who want to criticize the government without doing anything about it. He also assumed that any Republican candidate would be better than a Democrat for classical liberals. Hunter could not be more wrong. The Libertarian Party is still the face of “individual responsibility, small government, and free markets,” but how the LP arranges those priorities is changing. The Party needs to represent its constituency, appeal to young voters who largely have experience with Ron Paul, and has to emphasize its social liberalism to appeal to the broader American public. In doing so, the Libertarian Party is sharpening its policy prescriptions while becoming more inclusive, but that doesn’t mean the philosophy is meaningless or is standing at the sidelines. Let’s have a look at some numbers of the people who call themselves “libertarian.” A few weeks ago, a think tank called the Public Religion Research Institute released a big data report on those who describe themselves as “libertarian.” There are some big consistencies; for example, 96 percent oppose Obamacare. But what is most striking is that a majority (39 percent) consider themselves “moderates”—not conservatives or liberals. To be sure, this report notes that most libertarians are registered Republicans (45 percent). However, more libertarians are independent (35 percent), third party (15 percent), or Democrats (five percent) when combined. It is a misinterpretation of libertarian values to assume that all would vastly prefer Republican candidates. If we were just looking at party affiliation, Republican libertarians do not represent even half of the libertarian demographic. So when Hunter exclaims that McCain would have been better than Obama, or Cuccinelli better than Sarvis or McAuliffe, he is speaking for himself, not for all libertarians. To ask libertarians to vote Republican reinforces only one purity test: Hunters’ own. Hunter seems to think that free markets is all libertarianism is about, and he’s happy to snuggle into bed with conservatism. Libertarians are the wrong audience for his kind of policy prescriptions. The Libertarian Party needs to build its base with young people as well. These folks are the people who have the time and energy to canvass. Above anything else, they are at the core of what will guarantee a future for the Libertarian Party of tomorrow. Know what libertarian young people like? 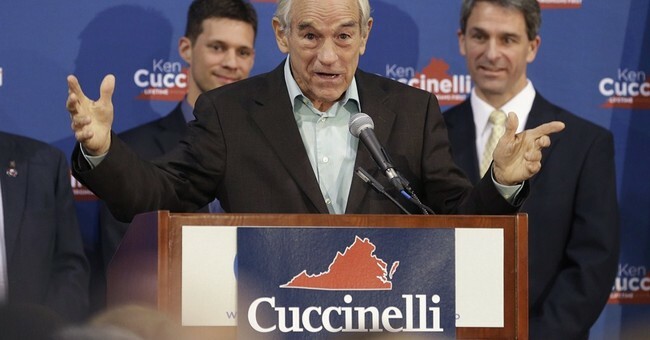 The young guns of the Tea Party, and even Ron Paul. No one can expect them to get behind the elders who insult their heroes as “wacko birds.” The Libertarian Party is smart to try to include Millennials as much as possible, even if celebrities popular with Millennials ignorantly give themselves the “libertarian” title, like Bill Maher (who really considers him a libertarian anyway?). In fact, I think one of the most important people teaching Millennials to question government is a self-identified liberal: Jon Stewart. We can’t give and take away the libertarian title, so we should take the positive publicity and use it to our advantage. Millennials are, as a whole, especially socially liberal, but the rest of America is following. A majority of Americans favor legalizing marijuana. More than half of the country supports gay marriage. An additional bulk want there to be a way for illegal immigrants to stay in this country. Like it or not, social issues are the best way to attract new people to the Libertarian Party, especially if they’re young. Sure, prostitution and raw milk might not be the top of everyone’s agenda, but these ideas reach far more people than free-market fundamentalism. What is best for the Libertarian Party is to advertise how mainstream it could be. If the Libertarian Party seems more blue, that’s because it’s a reaction to what Americans prioritize. So what’s happening here? Libertarianism is rebranding itself to be more inclusive. Now more than ever, it is accepting of LGBT people, encourages women to have a voice, and has different social media groups targeted to different minorities. Inclusivity is the best way for libertarianism to grow. Hunter’s exclusivity will only be the death of libertarianism in America. But what of all of our think tanks and libertarian blogs and magazines? Changing hearts and minds does not happen overnight, but there are still successes everywhere. The Competitive Enterprise Institute was fundamental in blocking food labeling measures in Washington. Nick Gillespie seems to have a new editorial in a major newspaper every day. The Institute for Justice and the Foundation for Individual Rights in Education fight for fiscal and civil liberties and have regular wins. Libertarians are far from doing nothing. If anyone should be compromising on their ideals, it should be people like Hunter. He does not have the authority to determine what is and isn’t best for liberty. Libertarians are happy to leave that to individuals to decide for themselves.